You start taking notice others using bit.ly, buff.ly, goo.gl or tinyurl.com to make their ugly links look pretty. Among all the generic link shorteners you see someone using a URL shortener that appears as if it is made for them? Hyatt is a mega-blogger and I initially thought, “that’s probably something only the ‘big guys’ have access to.” Shortly thereafter I noticed that Buffer had their own. 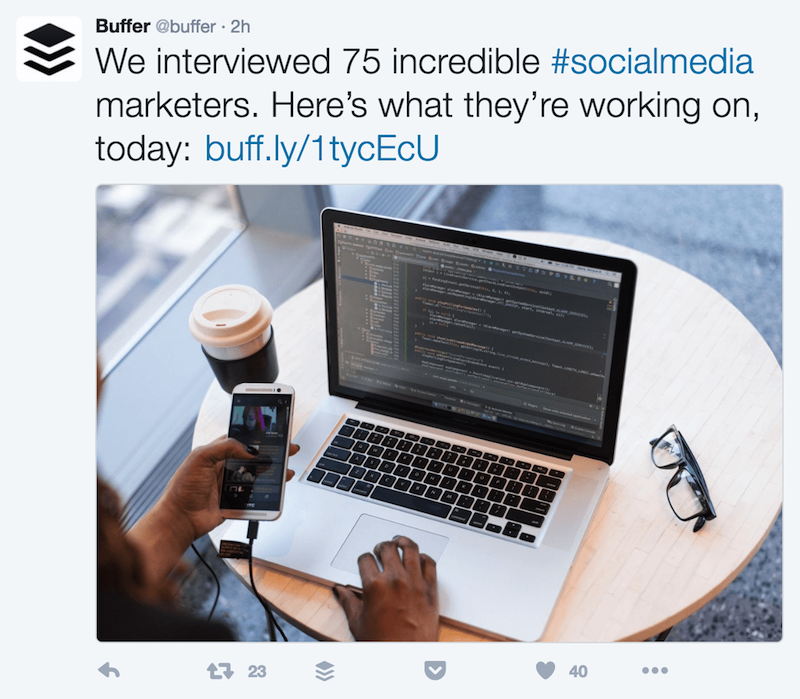 An example of Buffer using a custom short url for their Tweets. This inspired me to be on the lookout for who else was using a custom short url. Turns out, once you start looking for custom short URLs you will find quite a few. I discovered there was no reason why I could not have my own custom short URL and what you will discover in this article is there is no reason why you can’t have your own, as well! To start the process of creating your own custom short URL visit a domain registrar (GoDaddy) and pick out and purchase a domain you’d like to use as your custom short URL. Use GoDaddy or your preferred domain registrar to purchase your custom short url. What you are are looking for is a domain similar to your name or brand but shorter. 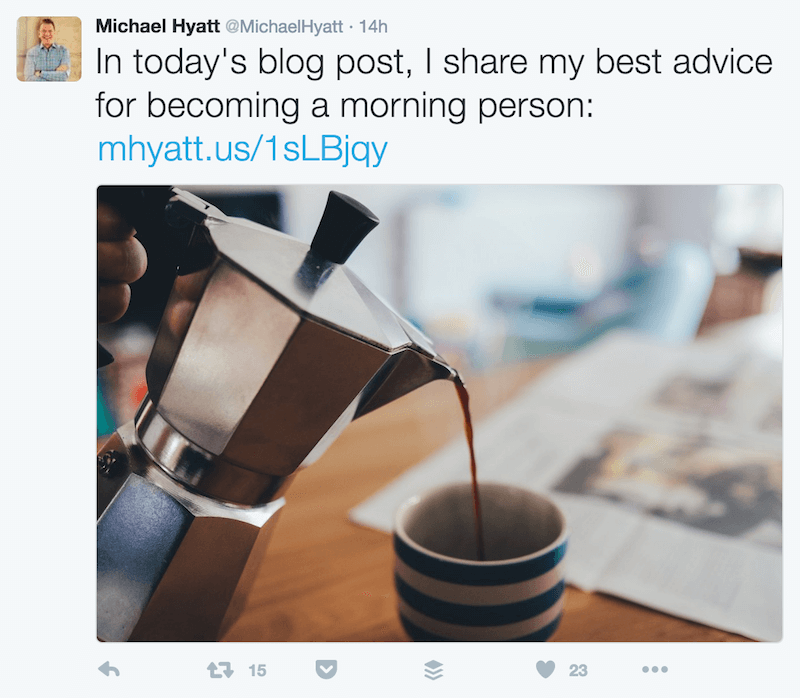 For example, Michael Hyatt’s website is michaelhyatt.com and his custom short URL is mhyatt.us. My website’s are daveshrein.com and shreinmedia.co and my custom short URL is shrein.co. Find a short URL that you’re comfortable with and buy it. Select a shorter version of your primary URL or brand name as your shortened URL. This URL is for one of my clients at muleranch.com. With your brand new domain purchased, it’s time to integrate it with a shortening service. The last thing you want to do is spend hours searching the internet for a service to host your custom short URL. Believe me, I’ve wasted hours doing just that. You have your domain and you want to integrate it now and the service you are looking for is bit.ly. Even if you are not currently a bit.ly user, you have seen their links all over social media. This free service is great for tracking clicks and metrics of a particular link and bit.ly will actually allow you to create up to 500 branded domain URLs every month. *The bit.y website specifies that the custom branded feature is for personal use. I called and spoke with a representative and was told that I was okay using it for my purposes. You may want to do the same. If you have a bit.ly account, log in as usual. 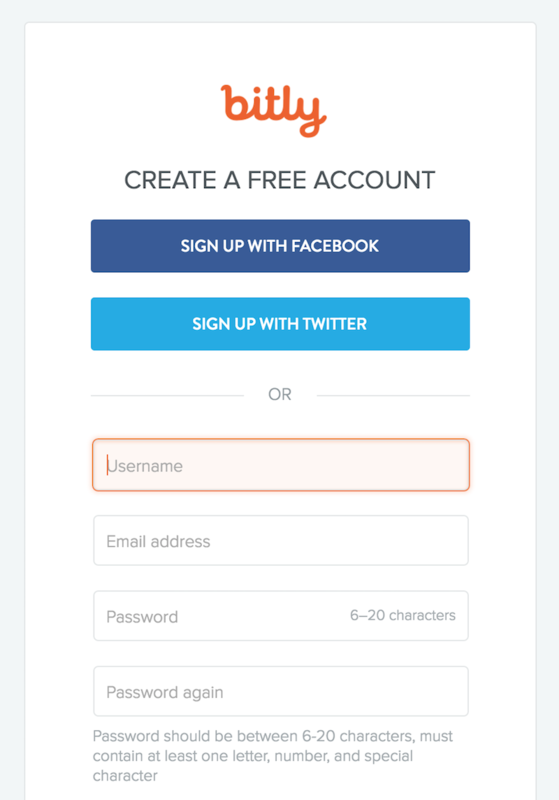 If you do not have an account, you can sign up for your free bit.ly account to proceed. Note that you will have to verify your email in order for the branded domain option to be available. Login to bit.ly or sign up for your free account and verify your email address. Once you are logged into your bit.ly account select the menu button from the upper right hand corner to reveal the right sidebar menu. Click the main menu button in the upper right hand corner of bit.ly and a menu will slide out from the right. Once the menu is revealed click Settings>Advanced Settings and you will see the option to “Add Branded Short Domain for personal use” from the selection. Click on that text to proceed. In the bit.ly advanced settings click the “Add Branded Short Domain for personal use” option. Once inside the “Add Branded Short Domain for personal use” section take note of two things. 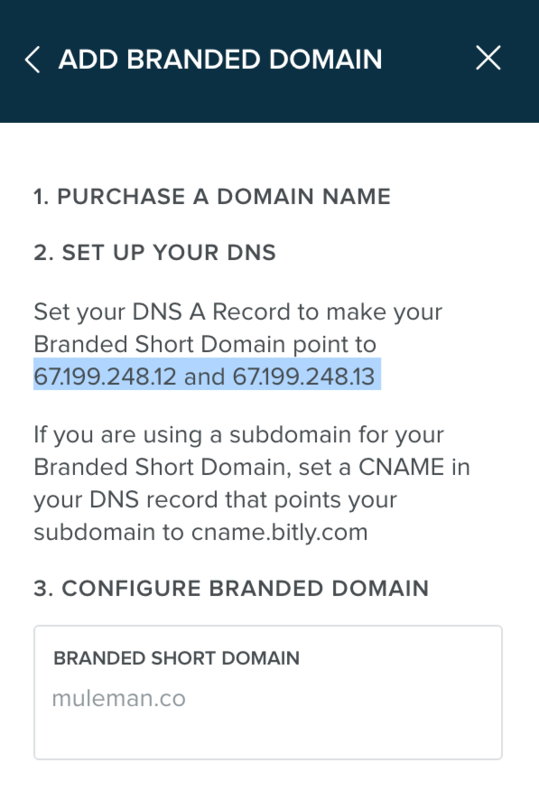 In step 2, bit.ly highlights two individual IP addresses and instructs you to point your Branded Short Domain to each of them. The two IP addresses as of this writing are 67.199.248.12 and 67.199.248.13. Bit.ly provides two individual IP addresses that you must create two A records to point to individually. 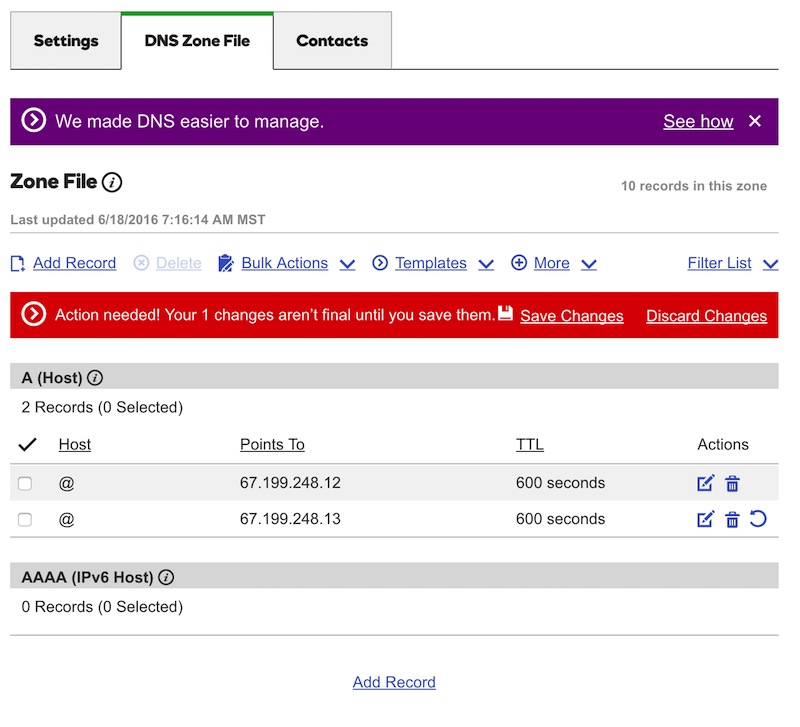 Go back to your domain registrar and navigate to the DNS Zone File settings. Find the section for the A records and add two new records, each one pointing to each of the IP addresses. Proceed to delete any A records that prior existed. *These instructions assume you are using a brand new domain for your branded short URL. If you make changes to a domain which are currently being used for a website or other services, you want to make sure you know what you’re doing before making changes. Add two individual A records, each one pointing to one of the IP addresses bit.ly provides. Once you have saved changes it may take a few moments for the new settings to kick in. However, you can proceed to the next step. Return to the bit.ly settings and in step 3 type in the domain you purchased to serve as your custom short URL and click Verify. If it does not verify right away, wait a few minutes and try again. It may take up to 30 minutes for all settings to populate across the internet in order for bit.ly to see you’ve updated your A records. Type your branded short domain into the box under step three and click verify. Once verified, refresh your browser and navigate back to the Menu>Settings>Advanced Settings section. Confirm that your new domain is the default domain for your shortened links. Return to the Advanced Settings section to confirm your new domain is the default shortener domain. 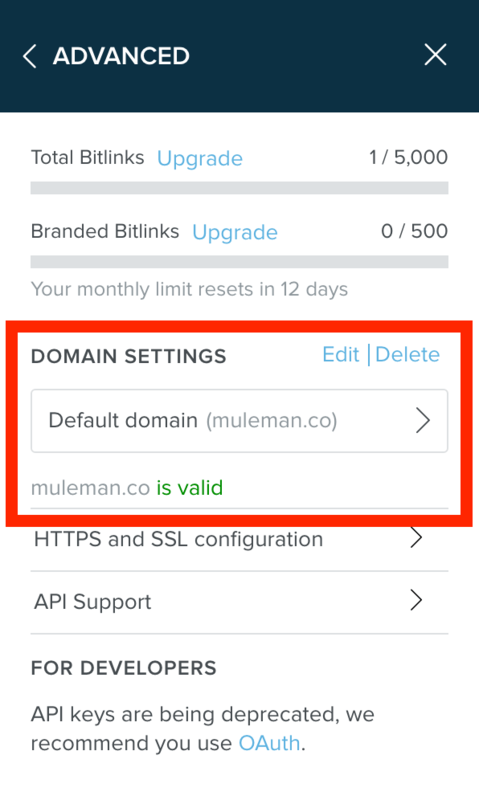 When bit.ly allows you to set your new domain as the default domain as depicted above, you have successfully setup your custom short URL. 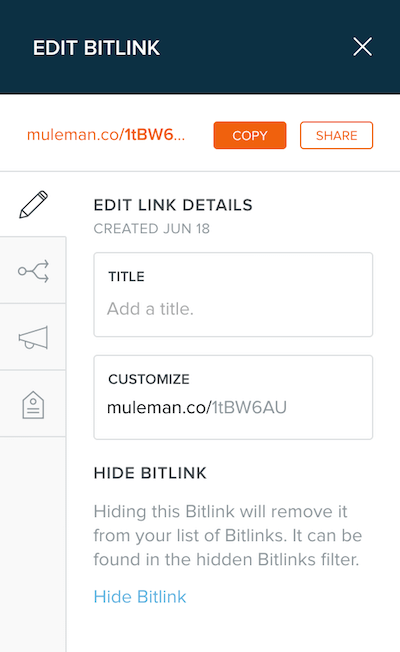 You can now begin using bit.ly to shorten your URLs using that domain. Return to your bit.ly account main page and click the Create Bitlink option. Return to your bit.ly main page and create a new bitlink. The Bitlink menu slides in from the right (on desktop) to reveal the “Paste Your Long URL” field. Paste your link there and either click the Create button at the bottom or wait approximately 3 seconds and bit.ly creates the link for you. Paste your long url and click the Create button. Immediately after creating the link a new view appears providing you with the option to Copy or Share your new link as well as several additional tabs offering up more functionality (some paid, some free). Copy your custom short url from bit.ly and share! You can proceed to paste your custom short URL wherever you want to share! Nothing left to do. What If I Run Out of Branded Links? You might be wondering, “Is there any reason for me to use a bit.ly link rather than my custom short ULR?” With having a limit of 500 branded URLs per month, there is a concern that you will run out. 500 is a lot of URLs. After using my own custom URLs for nearly three years, I’ve only run out of my allotment once. Second, when you shorten a particular URL this month, say https://www.daveshrein.com/blog, and next month you shorten the exact same URL, https://www.daveshrein.com/blog, it doesn’t count against this month’s quota. It was shortened last month. Ipso de facto, you aren’t actually creating a new URL but using one that has already been created, thus making your 500 month quota go further. You create a short URL for a customer but using your bit.ly account. You create a short URL that has nothing to do with your brand. You create a short URL for strictly personal reasons and are only sharing among friends and family. Otherwise, it is always best practice to use your branded URL. It looks professional, it is consistent with your overall brand and it will be an eye-catching URL when shared outside of people in your network. Bit.ly has become the gold standard when it comes to services for shortening URLs. This means they are deeply integrated into many social sharing services such as Buffer and Edgar. You can use the bit.ly API to configure third-party social media sharing services to utilize your custom URL automatically when sharing from their product. No longer will you be the one noticing the fancy short URLs all the ‘big guys’ are using. As small is a custom short URL may seem, it will have a big impact in how people view your brand on social media, especially if it is just one part of a strong brand you are working hard to develop. Dustin W Stout has put together a great complimentary post on custom short URLs on his website. While this post walks you through step-by-step how to create your short URL, Dustin’s post takes more talk discussing what short links are, when to use them and other details that I didn’t take time to discuss here. Anything Dustin does is great so do yourself a favor, check out his site! Click here to launch Dustin’s custom short URL post.